Cheap Dirt Bikes For Sale where can they be bought ? Where do you look to find the best cheap dirt bikes for sale ? 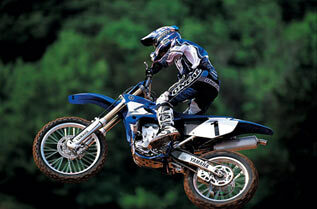 We'll look at the best ways to find both new and used dirt bikes for the best price. Dirt Bikes can be extremely expensive. Finding a good deal on a reliable dirt bike can be tricky. Seasoned enthusiasts know what to look for when they're in the market for a new or used bike, but how do the newer riders find the best bikes for sale? Sometimes the best way to find cheap dirt bikes for sale is simply to use a little patience. If you're in the market for a brand new bike, dealerships will often have sales when newer models come out or if one model isn't selling well in that particular area. The low sales don't necessarily have anything to do with the quality of the bike; sometimes users just don't want the same features for their type of riding. If you've done your homework and know the bike you want, waiting for the sale might be a good way to get a good price. Another way to get a brand new dirt bike at a much lower price is to look at purchasing wholesale. Wholesale sellers cut out the cost of overhead that your local dealer needs to put in the price and often you can get the exact same model for little more than half of what your local store can offer. There are many avenues open if you're looking for a good used bike. This is where it pays to be careful in purchasing. Many of the best deals in brand new bikes arise from enthusiasts who went out and bought the top of the line for their first purchase and found they either could not control the bike or did not like the sport well enough to continue. It's a sharp hit financially for the seller, but a great place to really score for the buyer. Some places you can look for cheap dirt bikes for sale are in your local classified section or at a community board where you ride or purchased your bike equipment. You can also look at auction sites, such as eBay, and online riding boards. Online classifieds are great, too, but you may be liable for shipping which can be really pricey. Also, you need to be careful with person to person purchases online, and make certain there's a way to guarantee the product for your payment. Dirt bikes for cheap bargains are great for budget buyers. Finding a bike cheap dirt sale available on ebay and other auction sites is easy. Very cheap used dirt bikes should be inspected to see if they are road-worthy. 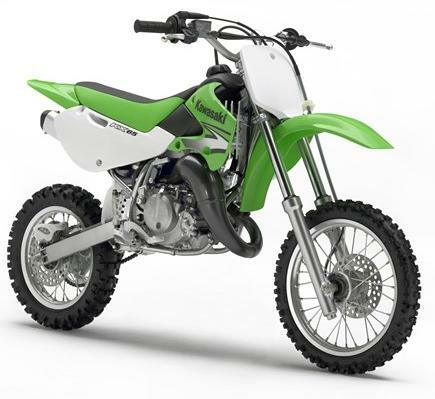 You dont have to go for branded bikes such as cheap kawasaki dirt bikes, keep an open mind to choice and if you see an accompanying dirt bike part for sale, snap those up too. With the vast number of cheap dirt bikes for sale figuring out the best one to buy is a puzzle. 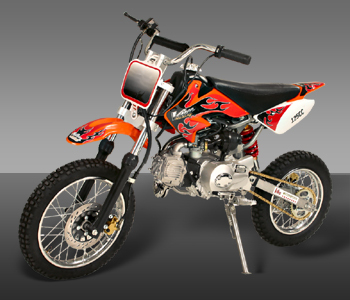 For kids bikes there are plenty of kids dirt bike models, and even some toy dirt bikes if that’s what you want. We went on ebay and found a cheap 49cc dirt bike for just £51 !, this was a used dirt bike motor cycle of course. It had front and rear disc brakes, a kill switch, stand, and in mint condition - all because his son had grown out of the bike. Of course on ebay there are trade bike dirt motos for sale as well. And although a little pricier we came across a Cobra 50cc pit bike with 10 inch wheels and knobbly tyres, and a restrictable throttle. Plus a rocker style kill switch, alloy pull starter and wavy disc brakes all for £199. With the dirt bike being new, you have a warrantee too, so do think about this. Is the extra cost worth the peace of mind, you dont get from a private seller. We then took a walk over to autotrader uk for cheap dirt bikes for sale and weren’t disappointed for cheap dirt bikes for sale models on offer. Seeing a 1997 KAWASAKI KLX, for £1,195. Now this was a full sized top branded bike in excellent condition, taxed and mot'd with indicators and ignition key. Plus the qudos of having the kawazaki green livery of this well balanced ride. It didnt stop there we checked out the bike dirt honda adverts and saw a 2006 HONDA CRF 50cc (kids motocross bike), and the cost of this 4-stroke - well £595 ! Yep we couldn’t believe it either. You can get carried away so always - always look at the dirt bikes pics in the advert, for any signs of damage, but we couldn’t see any. Plus in the back of your mind think - is this the best dirt bike for me? And seek out some dirt bike reviews from online shopping stores, where you can do that sort of thing - and dirt bike magazines too of course. Seeing if we could do better to find cheap dirt bikes for sale, we browsed on ukclassifieds.co.uk, and found a cheap kids dirt bike called an XB Monster 125cc. Its advertised as a high quality pitbike and comes in at £349. Which made us smile, wrapped in a 1-cylinder, 4-Stroke engine a CDI Ignition and it’s a kick start. This ride has a 4 Speed transmission and kicks out 6,5 Kw. So for the money (if it is indeed a quality bike), your son or daughter should find this a great pitbike. Maybe not their first bike, but a good one to graduate onto. Before we wrapped up, we had a last look at ebay - mainly for a final look at any cool suzuki dirt bike for sale adverts and some cheap mini dirt bike parts (which were in abundance) that may have escaped us before. But one advert that made us look up was for a bike called the SKYTEAM ST100 Y, (brand new). It has an Air-cooled 2-stroke 98cc single cylinder engine - telescopic forks and twin shock swing arm. The bike looked the part too, and prices on this model seemed low for the spec. So overall we were amazed by the amount of "bang-for-your-buck" dirtbikes you can buy. Even new motocross bikes offer brilliant value for the budget minded.